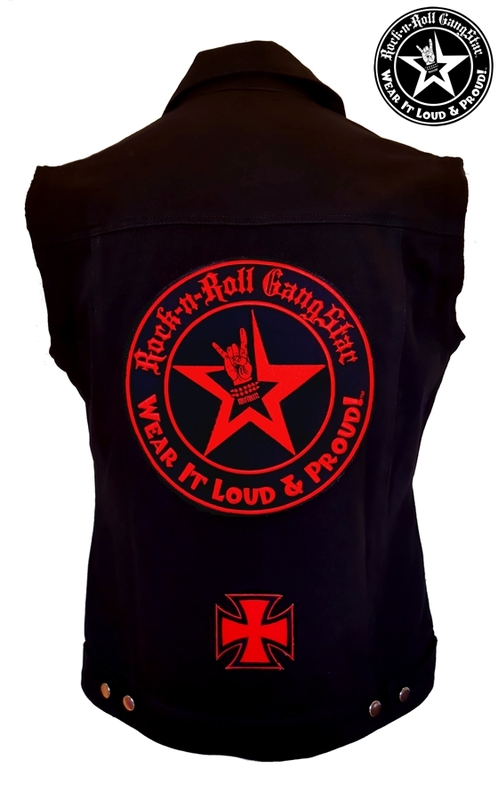 Rock-n-Roll GangStar "Wear It Loud & Proud!" tm denim biker vest. 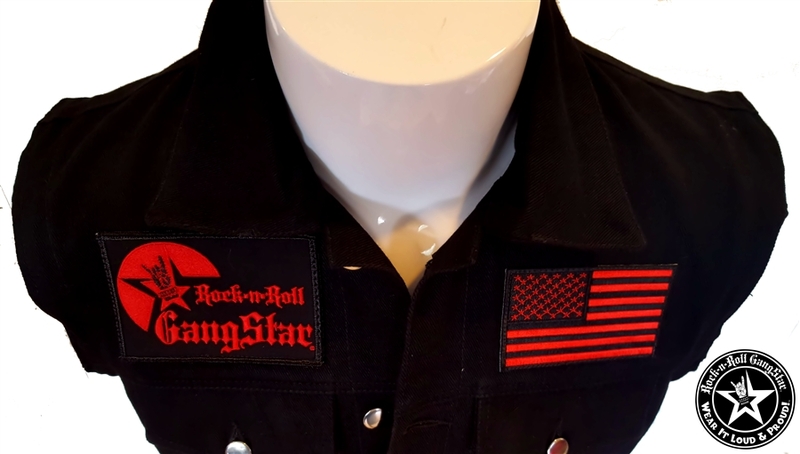 All high end Rock-n-Roll GangStar embroidered patches (no silkscreen). 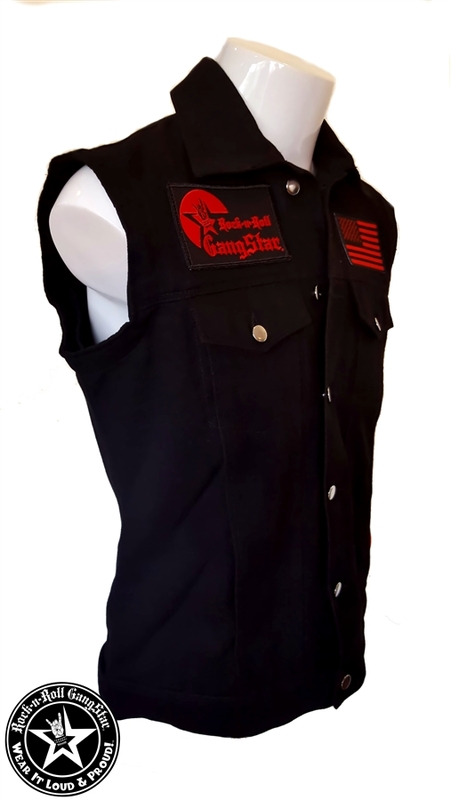 Front right pocket area: 4.5" Rock-n-Roll GangStar logo embroidered patch in red thread. 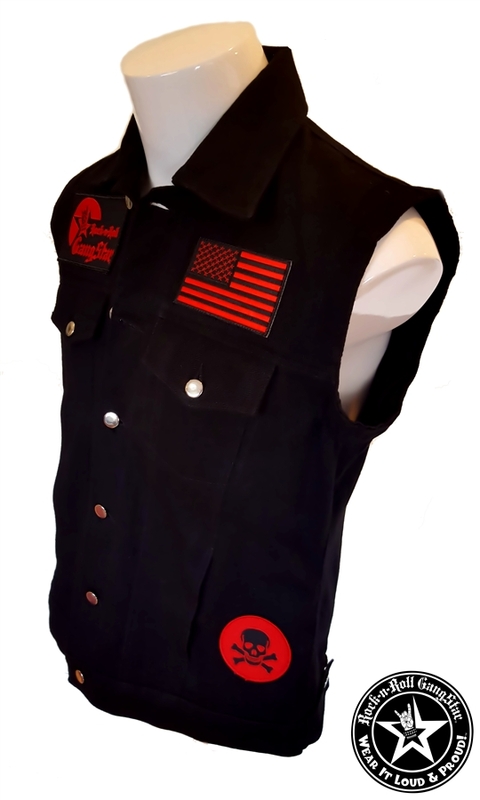 Front left pocket area: 3" red & black U.S. flag embroidered patch. 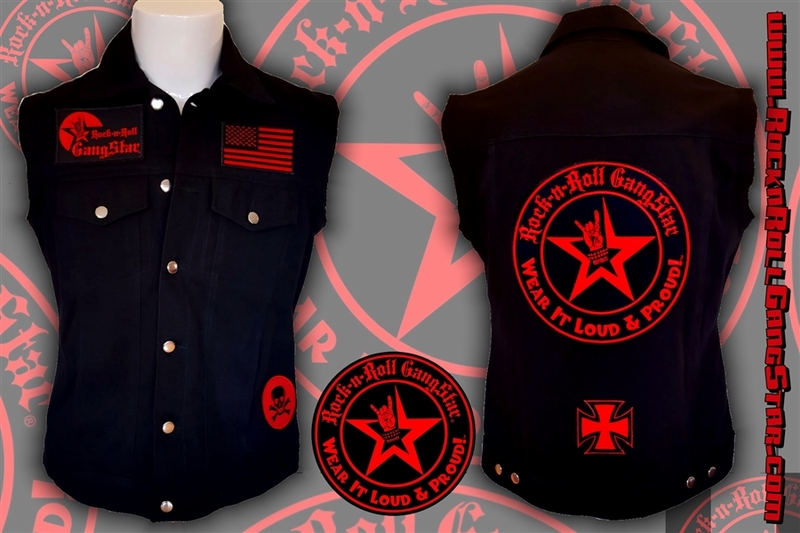 Front lower left pocket area: 3" Skull n Crossbones embroidered patch black thread on red background. 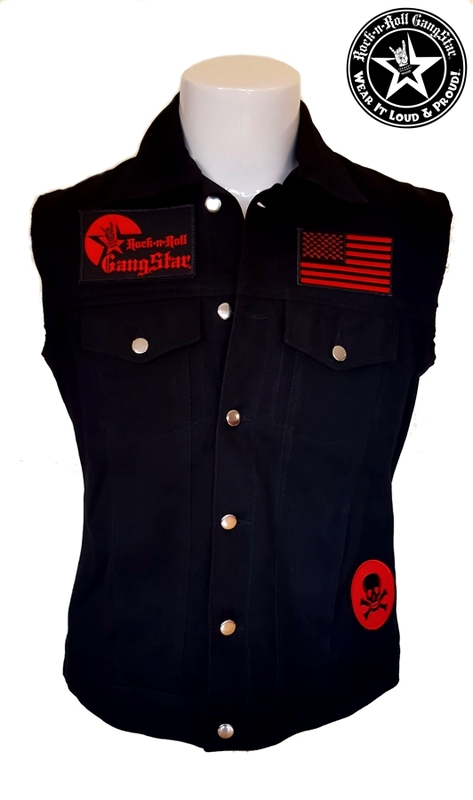 Back: 10" Rock-n-Roll GangStar "Wear It Loud & Proud!" 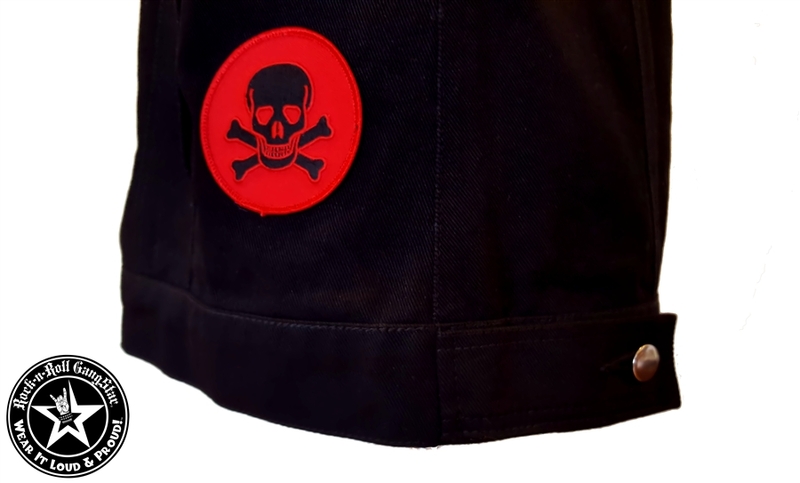 tm embroidered patch in red thread. Back : 3" Red Iron Cross with black edge thread. Wear It Loud & Proud! tm & get FREE Shipping on this item within the Cont. U.S.